Everywhere one goes there is contruction going on in India. Flyovers, bridges, buildings and roads. It gets messy and difficult to move around. One hopes that this frantic construction activity of a nation being built ends soon and we get spanking new cities! 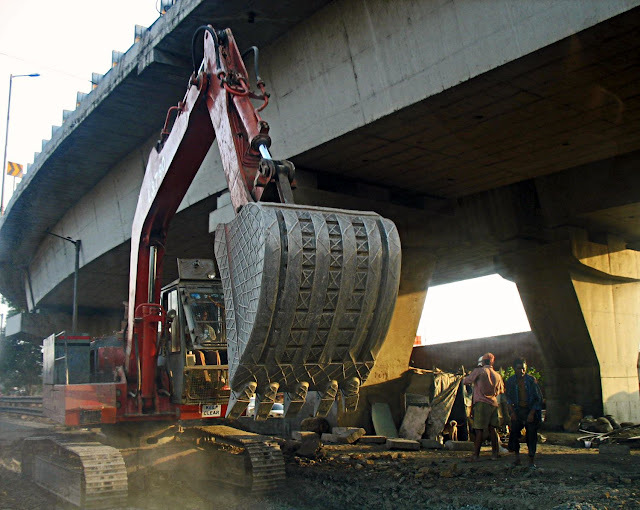 Here is an earth mover or a type of construction crane below a flyover bridge, picking up heavy construction material like rocks and stones. 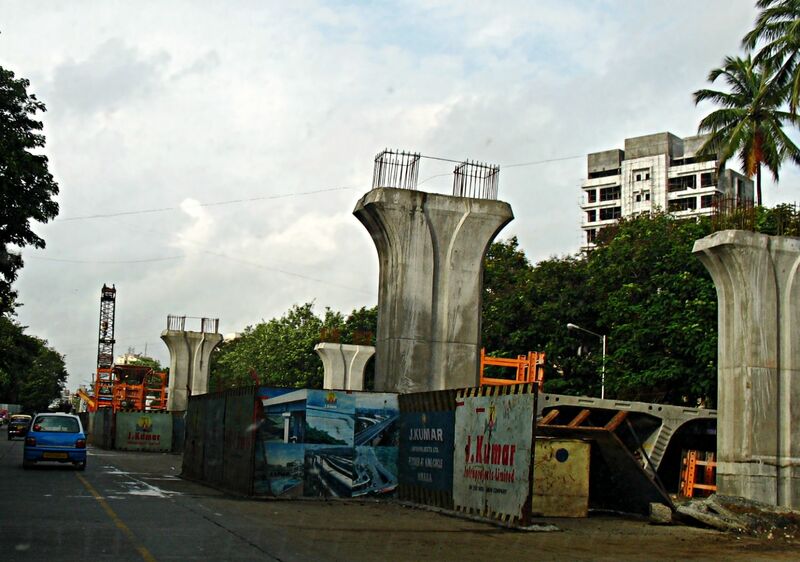 This is an image of a flyover being built in Mumbai. This photograph is not strictly of a flyover construction, although it is of a type of bridge between the sea and the land, called a sea link. This one connects Worli and Bandra in Mumbai. 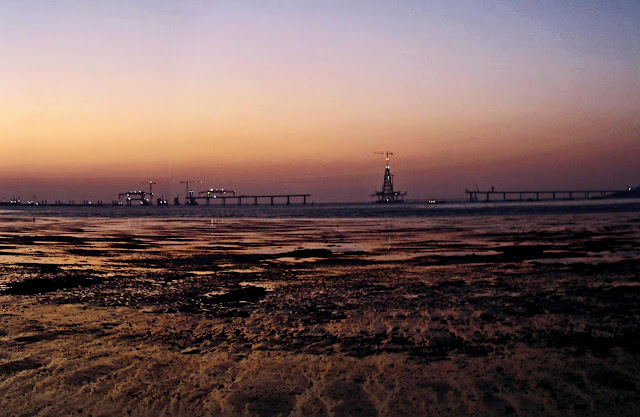 This photograph was taken from a spot near Dadar beach and shows the sea link being constructed. It was taken during the sunset and you can get a picturesque view. 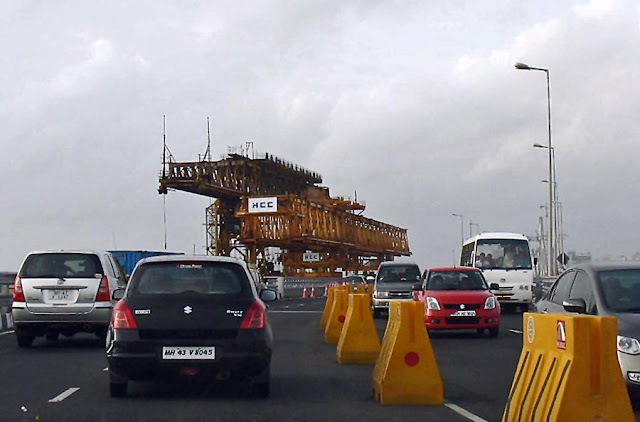 A closer look at the Bandra-Worli sea-link when it was being constructed and this view is from the bridge itself. The authorities had opened up one side while construction was still on. Or for the complete Bandra Worli Sea-Link Mumbai photos, sketch, silhouette and painting.